All submitted manuscripts undergo extensive peer-review process and circulate among Authors, Editors/Associate Editors, Reviewers and Editorial Office before final publication. Generally, this is a single-blind process where recommendation of more than two reviewers is sought and finally a decision is commented directly by the Editor-in-Chief or indirectly via associate/academic editor. All steps, from manuscript submission to final publication, are performed in the Manuscript Handler, a ResearchersLinks Project. All submitted manuscripts are initially quality controlled by the Editorial Office for suitability of the manuscript to the intended journal, manuscript formatting, reference provision, plagiarism checking and completion of all necessary files required to perform review process. Once initial quality controls are passed, the manuscript is forwarded to appropriate Editor or Associate Editor or Academic Editors (Editor hereafter) depending upon whether it is a regular manuscript, part of the special issue or Guest Editorial. In case of a conflict of interest, a suitable Editorial Board Member is selected. 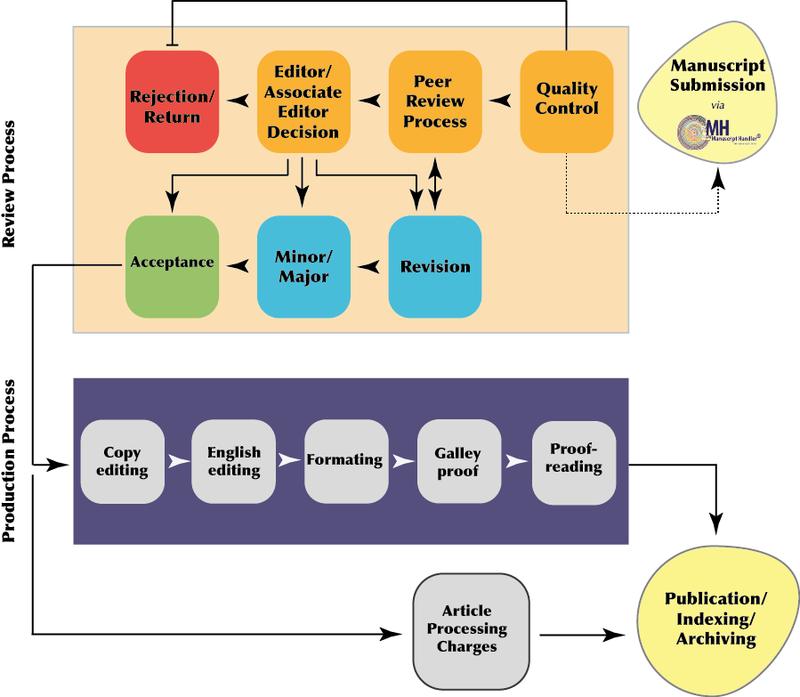 Assigned handling editor decides the initiation of review process or decline to do so based on the quality of the presented work and scope of the journal. If Editor finds the manuscript of high quality and is within the aims and scope of the journal, the manuscript is sent to expert reviewers in the field and aimed to collect more than two reviewers recommendations. The process is single-blind for most journals, meaning that the author does not know the identity of the reviewer, but the reviewer knows the identity of the author. Some journals operate double-blind peer review and/or open peer review process. 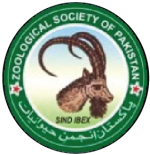 A mixed panel of reviewers is selected both from author’s suggestions and member of the editorial board. Reviewers are requested to (i) assess each section of the manuscript for values ranging from 0 to 5, (ii) to provide comments to Author (iii) comments to Editor, (iv) recommendations (accept, reject, minor revision, or major revision) and (v) willingness to review the revise version of this manuscript in case of minor and major revision. Reviewers can also upload a review report in the form of an attachment if the suggestions were made in a word document or in the manuscript directly. To assist our editors, editorial assistant handle all communication with reviewers, authors, and the external editor; however, Academic Editors can check the status of manuscripts and the identity of reviewers at any time. Reviewers are given two weeks to write their review. For the review of a revised manuscript, reviewers are asked to provide their report within three days. In both cases, extensions can be granted upon request. A paper can only be accepted for publication by editor without any involvement of the ResearcherLinks staff, however, they bridge the communication between editors and authors and deal all technical issues if required. (i) Accept, (ii) Reject, (iii) Minor revision, (iv) Major revision, (v) Returned. The rejected manuscripts are closed, whereas, manuscripts with minor or major revision are require appropriate actions from the Author for re-consideration by the Editor. The Editor either makes final recommendations or considers another round of review process. In case of acceptance, Authors are notified and the Publisher initiate the production process that include copy-editing, language editing, proofreading, reference linking, metadata generation for indexing and publication purposes. Immediately after the acceptance authors are invoiced for article processing charges if applicable. Authors are also requested to improve the language if required before the initiation of production process. Editor in Chief is a final and decisive authority to make any recommendations on submitted manuscripts without involvement of the Editorial Office. This is mainly due to the fact that Editors are leading personnel in the field and they make their recommendations on the bases of reviewers’ assessment. Also Editor can’t play external reviewers’ roles, except in occasional cases, to have fair, highly professional and dynamic peer-review system. 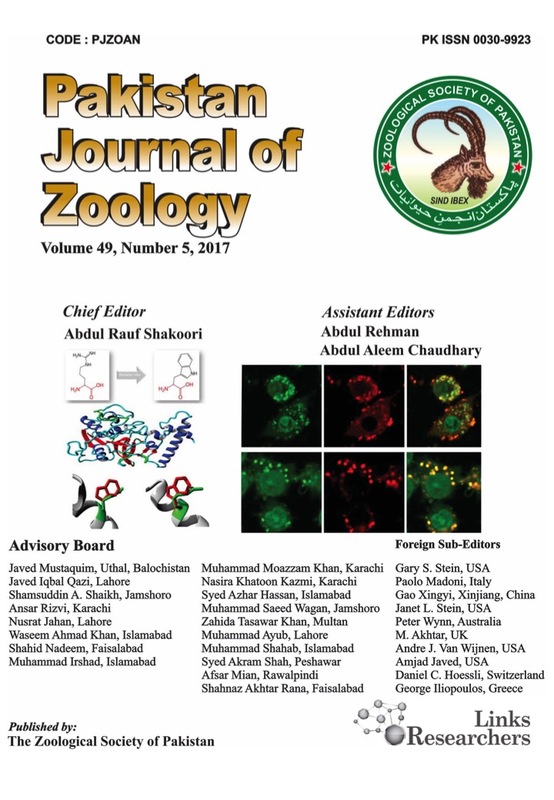 Editor in Chief also approves the editorial board members and mainly involve in the selection of the special issues in the journal. ICMJE: Medical journals follow the recommendations of the International Committee of Medical Journal Editors (ICMJE). Exhaustive guidelines and recommendations are available that range from peer review process to handling complaints. These guidelines and recommendations are mainly focusing medical journal, majority of these recommendations are generic and are followed by all our journals. The CONSORT (Consolidated Standards of Reporting Trials) statement deals inadequate reporting of randomized and controlled trials. Authors are encouraged to liaise with CONSORT statement, crosscheck their work against the checklist and flow diagram of the CONSORT and finally upload them during the submission process of the manuscript. TOP (Transparency and Openness in Promotion) has set out community-driven guidelines to align scientific ideals with actual practices. ResearchersLinks aim to achieve level 1 or 2 in all TOP guidelines for all our journals. Depending upon the nature and scope of the journal, specific requirements differ between different journals. Should you need information on journal-specificity please contact for detailed information? PRISMA (Preferred Reporting Items for Systematic Reviews and Meta-Analyses) is an evidence-based minimum set of items for reporting in systematic reviews and meta-analyses. Authors are encouraged to liaise with PRISM items, crosscheck their work against the checklist and flow diagram of the PRISM and finally upload them during the submission process of the manuscript. ARRIVE (Animal Research: Reporting of In Vivo Experiments) has set out guidelines to improve the reporting of research using animals – maximising information published and minimising unnecessary studies. Authors are encouraged to liaise with ARRIVE items, crosscheck research work against their checklist and finally upload them during the submission process of the manuscript. ResearchersLinks enforces the standards and guidelines during the final decision and discrepancies, if any, should be clearly articulated by the authors. It is recommended that authors should describe all relevant information in their cover letter and convey to Editor while submitting their manuscript online.